A sound foundation is critical for any business. Part of that good foundation is choosing the proper entity. Too often this important piece is overlooked or even just ignored which can cause significant problems down the road. The proper entity choice affects many financial and legal aspects of your business. These considerations will affect the amount of your income taxes, both now and in the future for your business along with your personal income taxes. This decision also affects how owners (sole proprietorships, members, shareholders or partners) are paid. Various payment methods for the owners may include dividends, guaranteed payments, reimbursements, wages, subcontractor payments and distributions – all of which may be taxed differently. In today’s litigious times, asset protection is a critical factor as well. Different entities have different degrees of asset protection. For many businesses asset protection may be the most important consideration. Each type of entity has its own pros and cons. No one size fits all. One must work through the features of each to determine the proper fit. 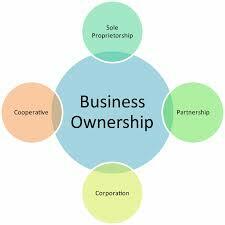 As your business evolves, please remember further evaluation of your business entity choice is needed. Way back in 2004 Congress added a new Internal Revenue Code Section that allows a deduction to businesses just for operating a business. There is no requirement to buy anything, there is no requirement to spend anything, and there is no requirement to borrow anything. This deduction is available to sole proprietors, farmers, LLC’s, S corporations and C Corporations, and is available just for “doing what you are doing”. Yes, it is a true made-up deduction, just like non-cash charity deductions, only this one is legal! We call this deduction the Domestic Production Activities Deduction (DPAD), but the IRS calls it the manufacturer’s and producer’s deduction. The deduction is 9% of the lesser of net income or qualified production income (the deduction is limited to 50% of wages). So nearly any business with qualified production income is able to take an additional 9% deduction just for producing a product. This means that a farmer gets a 9% of net income deduction without spending any more money. It means machine shop clients, builders, developers, manufacturers, print shop operators and many more business owners will get this deduction as well. The deduction is aimed at companies that produce a tangible product in the United States, and that employ workers to do so. And yes, it is 9% of the profit! The owner that qualifies and makes $100,000 will only pay tax on $91,000 if you remember this deduction. The deduction is taken on IRS Form 8903, which has been unchanged for many years. It is taken directly on the applicable schedule C or F, or as a flow through item on a K-1 for partnerships, LLCs and S corporations. • Most new construction and renovation. Activities that do not qualify for the deduction include most service businesses and most grocery stores and restaurants unless the restaurant packages and sells products that it produced itself. If you own a business, give us a call to make sure you are not missing out on this important deduction. About a dime out of every dollar Ohioans earn, on average, is taken by local and state taxes. The Buckeye Institute in Columbus and the Tax Foundation in Washington, D.C., partnered to produce a report that attempts to answer that question and provides other interesting facts and tidbits. The Tax Foundation is a think tank that does research and analysis of tax policies. The foundation describes itself as independent, but often advocates conservative policies. But what’s good from one political viewpoint might be bad from another. Adding up state and local taxes, Ohio ranks 19th highest in the country. Ohioans pay nearly a dime in taxes out of every $1 earned. Ohio’s rate of 9.8 percent for state and local taxes on average is close to the rates in the neighboring states – Michigan (9.4 percent), Indiana (9.5 percent), Kentucky (9.5 percent), West Virginia (9.8 percent) and Pennsylvania (10.2 percent). For example, the city of Centerville has a 2.25 percent income tax, but collects nothing from residents who work in Oakwood and pay Oakwood’s 2.5 percent income tax. But some cities in the area such as Xenia and Springboro, give only partial credit. So, workers end up paying income taxes to the communities where they work and taxes to the communities where they live. 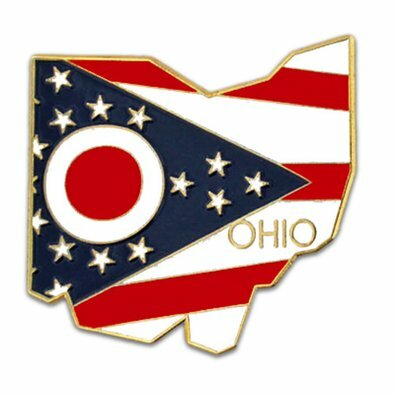 Ohio’s sales tax was established in 1935 and went unchanged at 3 percent for 32 years, then increased to 4 percent in 1967. The rate most recently increased in 2013, to 5.75 percent. Each county also tacks on additional sales taxes. Once the county and state taxes are combined, rates range from 6.75 percent from Greene and Warren counties, to 7.25 percent from Montgomery County, to a high of 8 percent in Cuyahoga County. The sources of Ohio and local tax revenue is similar to the national trends. The biggest chunk is from sales taxes. In Ohio, 36 percent of the money is raised through sales taxes. That compares to a national average of 35 percent. Ohio collects a little more through income taxes than most places – 27 percent versus the U.S. average of 23 percent. And Ohio collects a little less from property taxes – 29 percent versus 31 percent nationally. The study rated Ohio ninth highest in the country with property taxes amounting to 1.57 percent of the home values on average. The highest property tax rates are in the state’s two largest counties – 2.13 percent in Cuyahoga County and 2.04 percent in Franklin County. Combining state and county sales taxes, the average rate in Ohio is 7.14 percent. The 7.14 percent average rate ranks Ohio near the middle nationally, 19th among the 50 states and the District of Columbia. Two of the states that impose no state income taxes have some of the highest sales tax rates – Washington at 8.92 percent and Texas at 8.19 percent. A handful of states have no sales tax – Alaska, Delaware, New Hampshire, Montana and Oregon. State and local tax collections per capita in Ohio have been above the national average since the mid-1980s, though the gap has closed in recent years. Ohio and local governments collected $1,138 per capita in 2014, up from an inflation-adjusted total of $210 in 1974. The Tax Foundation and the Buckeye Institute created a ranking for various types of taxes on businesses and concluded that Ohio ranks low for unemployment insurance taxes (fourth lowest) and property taxes (11th), but high for individual income taxes (47th) and corporate taxes (45th). Note: included for corporate taxes was Ohio’s commercial activities tax. The Tax Foundation and the Buckeye Institute included in its report a profile of Ohio on a variety of other topics. Some highlights are below. Ohio is a cheap place to live, according to the report. In comparison to other states, $100 in Ohio is really worth $112. Just six states were identified as better bargains – Alabama, Arkansas, Kentucky, Mississippi, South Dakota and West Virginia. On the flip side, $100 is only worth $86.43 of spending power in New York State. QUESTION: The taxpayer’s mother lives in her home and she has provided care for her for several years. Her mother’s only income is from social security. The taxpayer pays over half of the living expenses for her mother, therefore she is her dependent. If her mother dies in January, can the taxpayer still claim head of household in the year of death? Ohio shoppers have probably started to become accustomed to this “back to school” seasonal sales tax holiday, and they certainly won’t be disappointed this year. The Ohio sales tax holiday will begin at 12:01 a.m. Friday, August 4 and end at 11:59 p.m. on Sunday August 6, 2017. Expect heavier than normal traffic at some of your favorite stores, though hopefully it won’t be as raucous as a typical Black Friday in November. 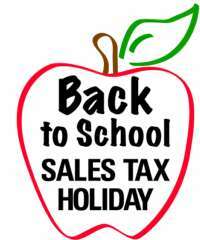 The intention of the sales tax holiday is to boost sales while giving taxpayers a break on back to school items such as pens, notebooks, jeans and shoes. During the 2015 sales tax weekend, Ohio consumers saved $3.3 million in taxes on $46.75 million worth of back-to-school purchases, according to research by the University of Cincinnati Economics Center, with the average family saving about $40. During this time period only, you can buy certain items and not pay any sales or use tax. Those items fall into the following categories: an item of clothing priced at $75 or less; a school supply item priced at $20 or less; and an item of school instructional material priced at $20 or less. Unfortunately, items used in a trade or business are not exempt under the sales tax holiday, so you will not be able to take advantage for your business. Can retailers/vendors choose not to participate in the sales tax holiday? No. 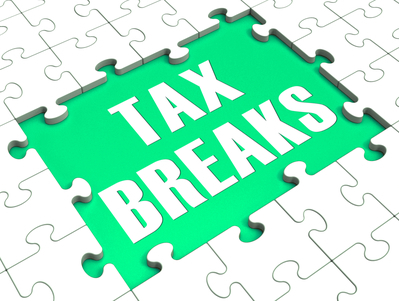 The sales tax holiday is set by law and vendors must comply. Can multiple qualifying items be purchased in a single tax-exempt transaction? Yes. There is no limit on the amount of the total purchase. The qualification is determined item by item. So, if you purchased two pair of pants, a pair of shoes and a jacket and each item cost $50, the total purchase of $200 would be tax exempt. What clothing items qualify? For the sales tax holiday “clothing” is defined as all human wearing apparel suitable for general use and covers more than you might expect. Traditional items such as shirts, pants, skirts, sweaters, dresses and shoes are included, but so are disposable diapers, formal wear and wedding apparel. For a full list of clothing items that qualify visit www.tax.ohio.gov. Items purchased to be used in businesses or trades are not eligible for the sales tax holiday. If the selling price of an item of clothing is $90, is the first $75 exempt from the sales tax? No. The exemption applies only to items selling for $75 or less. Therefore if an item of clothing sells for more than $75, tax is due on the entire selling price. In addition, retailers cannot split items that are normally sold together in order to fall under the sales price threshold. In other words, if the store is selling a pair of shoes for $100, they cannot sell the shoes separately at $50 each. What qualifies as a school supply? “School supplies” are very specifically defined and include items like binders, book bags, calculators, composition books and notebooks. 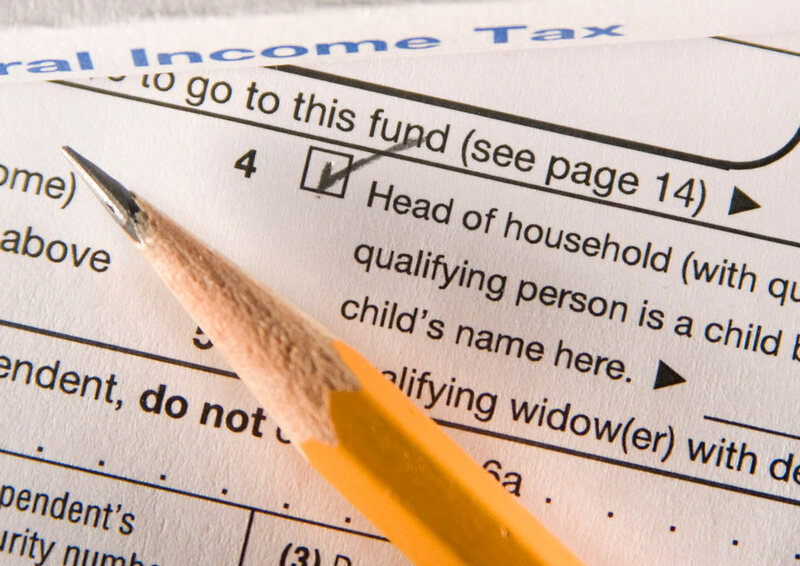 You can find a complete list of qualifying items at the Ohio Department of Taxation website. Items not specifically listed are subject to sales and use tax. How are coupons and discounts handled? If a retailer offers a discount to reduce the price of an eligible item to $20 or less (school supplies) or $75 or less (clothing), the item will qualify for the exemption. This applies to all discounts even if a retailer’s coupon or loyalty card is required to secure the discount. Does the exemption apply to mail, telephone, e-mail and internet orders? Yes. Qualified items sold to consumers by mail, telephone, e-mail, or internet do qualify for the sales tax exemption if the consumer orders and pays for the item and the retailer accepts the order during the exemption period for immediate shipment, even if delivery is made after the exemption period. So make your list, check it twice, and schedule some time the first weekend in August to hit the stores!